One of the major issues in low carb nutrition is how to effectively communicate what to actually eat. What is the simple message that can help people adopt a lifestyle that will have a positive affect on their health? I’m the first to admit that we have a way to go in getting this right, as you will see below. Here’s a letter I received recently. Let’s have a look at what’s going on here and see what we can suggest…. Just thought that I would let you know the results of having tried your diet. I diverged on Dec 23rd and Christmas day and had a small portion of Jelly and Ice Cream. I was on the diet for 3 months from 31 July 2013, the day after I had my blood test results. I got my blood test results today. The blood test was taken on 1 February 2014. My H1cA level was 44 and my cholesterol level was bad at 11. Normal H1cA is 40 or below. I was disappointed so I am going straight back onto the Mediterranean diet that I was originally on. But with no bread, but with low GI carbohydrates. I have pre-diabetes, and high cholesterol and have been taking statins. I have also been taking Ateronon which is a lycopene tablet where the lycopene is in a form that is readily absorbed into the body. Just a question, did I do something wrong on your diet? I sent back this set of questions and initial comments…. First, what were your other (sub fraction LDL, Triglycerides, HDL) cholesterol values? Total cholesterol is really not the problem, it’s triglycerides – these should be low and HDL should be high…. HbA1c is ok in all measures, more or less – yes you are still in the prediabetes range. Also, that was a pretty limited food list, with quite a few mentions of sweeteners. Are there other foods? How did you feel and what were your energy levels like? Sorry, I just need bit more information please. Can you write up a typical day’s eating please, including quantities? Jelly and Ice cream, 25th December one small bowl of Jelly, Ice Cream 1 Litre. Sometimes foods I ate during the weekend would still be left over and eaten during the week and vice versa. OK, let’s look at what’s going on here and compare it with my general principles of healthy eating. First, I would say the amount of artificial sweeteners is an issue. You are drinking 12 litres of diet drinks a week and an extra 125 Equal capsules a week. I think this is an issue. You are, in my opinion, drinking excessive amounts of these drinks. I don’t think we yet have that much scientific evidence about long term and/or immediate physiological effects of these drinks – they certainly don’t form part of an “eat whole foods – mostly lots of plants and animals diet” that I would advocate. I suspect (but we need more data) that sweeteners may turn out to promote chronic inflammation and therefore insulin resistance. They may also prolong the body’s addiction to sugar and sweet things, which you are trying to kick. Improvement 1: Drop the sweeteners, see how you feel. Second. Bacon is still a processed meat and 4-8 pieces a day is a lot. Yes I eat bacon a couple of times a week, but eating processed meat in the quantities you describe is not a great idea. Sodium nitrate in bacon and other processed meats can induce insulin resistance and cause diabetes (see list of references here). Improvement 2: Reduce the amount of processed meat (bacon) you are eating. As far as I can tell from your food list, you are having a Greek salad every three weeks. That’s great that you are having some vegetables. What I advocate though is vegetables at virtually every meal – so a Greek salad every day if you like, not every month! Yes you are eating peas and a small amount of avocado, but you can do better, much better. The main premise of the LCHF approach is eating lots of whole plants and animals. It’s not an excuse to simply drop veges. It’s the opposite. Just avoid the starchy ones – potatoes and so forth. Increasing your vegetable intake will hopefully help you get your protein intake in to better balance too. At the moment your diet is pretty much protein (meat, eggs, cheese, peanuts) and diet soda drinks! The trouble with protein is that if we eat too much of it, the body treats it in the same way as carbohydrate, turning some of the amino acids in the protein into glucose via gluconeogenesis. I agree your eating plan is pretty low in carbohydrates. However, a few items you are eating large quantities of all have a reasonable hit of carbs. Carbs in peas – 14g/100g. I’d like to see a better balance of monounsaturated fats (e.g., olive oils), polyunsaturated fats (fish oils) and saturated fats. I’m seeing only two other items besides the crumbed fish – mussels, and a small amount of sardines – with Omega 3 fatty acids. I’m not seeing anything else with monounsaturated fatty acids. I do advocate a high fat, low carb diet with moderate protein. That’s not just a free reign on saturated fat. I’d like to see more olive oil as a good way to get that up. More unprocessed fish would also be good. It is also possible that you have the ApoE4 gene (or other variants which conserve cholesterol). This means that you may respond quite poorly to a high fat diet alone – especially one which is high in saturated fat. The ApoE4 is a polymorphism of the Apolipoprotein E (ApoE) gene which is present in about 14% of the population. Perhaps you need to carefully consider the other more “primal” aspects of healthy living as well – moving more, stressing less, sleeping better, to mitigate and manage the expression of this gene better. In any case, gene or not, you will benefit from these lifestyle factors, and they will affect your cholesterol numbers. Mark Sisson has a good discussion of the ApoE4 gene here. The odd divergence? Jelly and ice cream on Xmas day? Don’t worry about that. Take homes: The thing is when we talk about high fat we still want a diet based firmly on whole plants and animals. We do know that this diets works out pretty well for most people. Metabolically they do well. Energy wise they do well. I haven’t seen a total cholesterol of 11 m/mol before on LCHF, so I would be consulting your doctor immediately about this. I would also like to see the HDL and TG figures. What I am advocating is the Mediterranean diet but with restricted carbs. I see no reason for you to eat lots of carbs. Restricting even good quality carbs when you are pre-diabetic makes sense as these too will likely have effects on spiking insulin and causing downstream metabolic problems. Again: Eat more whole plants (this should be every meal if possible), and keep the carbs down and protein moderate. Drop the sweeteners, up the monounsaturated fats and Omega 3 fats, reduce the saturated fats. Sleep more, stress less, and move lots. Thanks for putting yourself out there and hopefully this can help others. Very interesting, Grant. Thank you. My LDL tends to be high and gets higher on LCHF, but my TG goes down and HDL goes up. However, I don’t notice the high LDL when I’m not having lipids tested. BP is normal, BMI ditto, family history clear so I choose to ignore it, except to occasionally check, for scientific reasons not medical ones, to see if some diet change has made a difference. I’ve seen 2 analyses of Paleo fats recently, one of African game animals in the Boyd Eaton paper, and one of preserved Siberian Mammoths, which postulate a ratio of about 1/3 each saturated fats, monounsaturated fats, and polyunsaturated fats from such animals (the main Paleo fat sources). 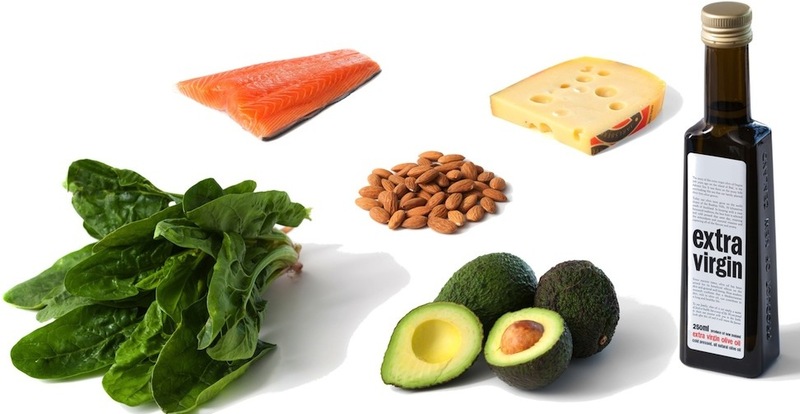 The polyunsaturated fats are very diverse and 3:6 balanced, with high levels of EPA, DHA, DPA, AA and so on – polyunsaturated vegetable fats would make a poor substitute. The context is such that this fat would usually accompany a relatively large amount of protein. That was an excellent post. Thank you for this Prof. Schofield. LCHF is only a template relating to macronutrients. A useful one at that but still quite limited in its scope. Nutrition is MUCH more complex. – Peanuts is a legume with high polyunsaturated omega-6s which will promote inflammation when unbalanced with omega-3s. – Tomatoes? Do they come in a can? Do you have a nightshade issue? – Jelly & Ice-Cream —> Nope. Not real food, sorry. & the list goes on…. LCHF is not enough. Neither is Paleo. Neither is ***name your diet*** —> these are useful templates & great starting points but ONLY in the view of further refinement. It’s like saying “oh, I’ve learned multiplications tables & the basic grammar rules of a language —-> ergo I can expect to be able to intelligently discuss Quantum Physics & Shakespeare” = NOPE. sorry. Biochemistry, health & nutrition = complex. beautiful. ever changing. Its also very hard to tell what is happening with cholesterol over the short term. Research has shown that LDL cholesterol can increase after carbs are reduced and may take 12 months to return to normal. This is due to the extra triglycerides being mobilised. Potentially, this may cause an increase in total cholesterol. But at the same time, “free” triglycerides should be decreasing and HDL should be increasing…especially if there is an increase in concurrent physical activity. This increase in LDL does not result in increased numbers of cardiac or other vascular events! Triglycerides and HDL cholesterol are better markers. LDL is only ever calculated from other lipid fractions, so is something of an estimate. On VLC diets, especially when fat is more saturated, IDL goes up as VLDL, TG and LDL go down, but the calculation doesn’t allow for IDL or VLDL. There are two different ways of calculating LDL from other lipids, the Friedewald (the common one) and the Iranian calculation, and the Iranian calculation is supposed to be closer to what will be the accurate figure on VLC when triglycerides are low and total cholesterol is still high. This site gives both versions, so if you are eating low carbohydrate you can recalculate your LDL score from the other counts (total cholesterol, HDL, and triglycerides) and it will probably be closer to an “actual” figure. Statistical analysis showed that when triglyceride is <100 mg/dL, calculated low-density lipoprotein cholesterol is significantly overestimated (average :12.17 mg/dL or 0.31 mmol/L), where as when triglyceride is between 150 and 300 mg/dL no significant difference between calculated and measured low-density lipoprotein cholesterol is observed. Catherine, I agree with your comment. I think blood glucose level is important too. This is the problem when eating by macro-nutrient composition – there can be good and bad examples of diet regardless of the macro-nutrient ratios. A quality diet is not about the macro-nutrient, it is about the inclusion of plant based foods, and the exclusion of highly processed edible stuffs (most of the time). Remember we eat foods, not individual nutrients!